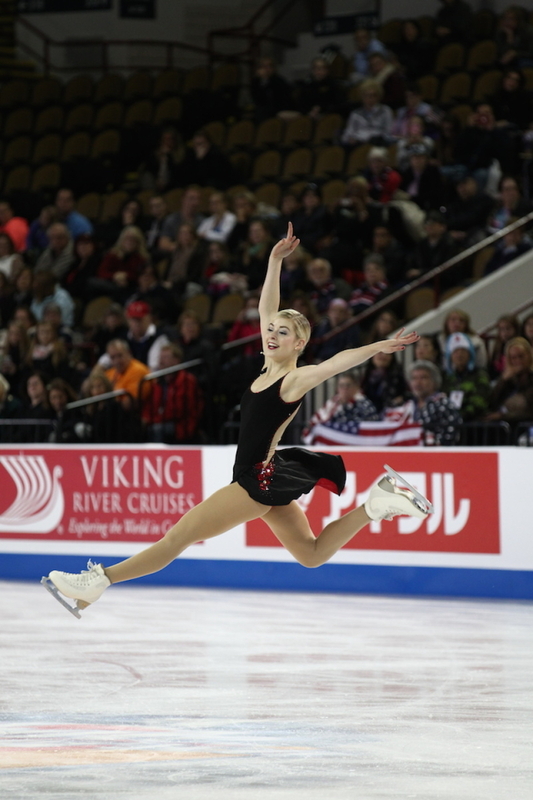 Gracie Gold feels confident going into Worlds, as she should. After earning back her national title in St. Paul in January, Gold is slated as a frontrunner when she takes the ice in Boston this month. Yet, there is still some women’s skating history to overcome. Not even an hour had passed since Gracie Gold’s come-from-behind effort clinched her second national title when the elephant entered the room during a press conference. No U.S. woman has won a singles figure skating medal at the world championships or Olympic Winter Games since 2006. The medal drought is a sore point in a proud U.S. program that didn’t miss an Olympic medal podium from 1968 to 2006 and was nearly as flawless in the annual world championships. It’s of particular note this year, though, with the World Figure Skating Championships coming to Boston in March and April. It’s true. Gold finished fourth at the Sochi 2014 Olympic Winter Games, and Mirai Nagasu was one spot off the podium four years earlier in Vancouver. It’s been a similar story at worlds, with Gold finishing sixth, fifth and fourth at the past three worlds, and Ashley Wagner finishing fifth in two of those years and fourth in 2012. Gold and Wagner also earned Olympic bronze medals in 2014 as part of the team event. With St. Paul and Four Continents behind her, Gold opens a new chapter with Boston looming on the horizon. Team USA has the pleasure of skating on home ice, which Gold says adds to the team’s excitement. Following her time in Boston, regardless of the outcome, Gold is set to hit the road for a national tour of Stars on Ice, slated to stop in St. Paul on May 1. Stars on Ice allows skaters to show off their talent in a more fun, informal showcase without the pressure of judges and scores. Stars on Ice doesn’t come with a title or a medal, but there are still countless reasons for a skater to join the tour. Most notably? For the fun of it.